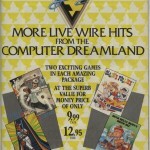 Nuclear Nick was one of a few titles advertised by Electric Dreams back in issue 8 of Zzap 64 games. 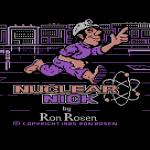 Nuclear Nick was to be part of a double pack with a game called Scooter. 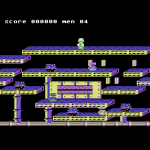 The game looks very much like Ollies Follies, which was released on the C64 by Americana… This suggests that Frank Cohen could have been the developer, but Ron Rosen is listed as developer for the Atari and did develop Polar Pierre on the C64. So was it either of those developers? Art Huff has confirmed that he did artwork (at least on the Atari version), but sadly no longer has any of his work. Early days, but at least we can play something of the game on the Atari for now…. Did the C64 version get far? Well, thanks to Rich Hinton on the Commodore 64 Facebook group – Rich had come forward with a series of US Gold master disks which he had from his childhood days, when a friend of the family would give them copies to try out. 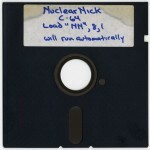 Within the set was a preview copy of Nuclear Nick, and was apparently still under development. Rich passed on the disks to Peepo, where Sailor of Triad did some tidy ups for a proper release for the first time. Overall the game is very similar to the likes of Ollies Follies, but it is a great discovery – and hopefully we will find out more and if the game was ever actually completed. Check it out!